Dog Leash Laws differ between states and local governments in the United States. 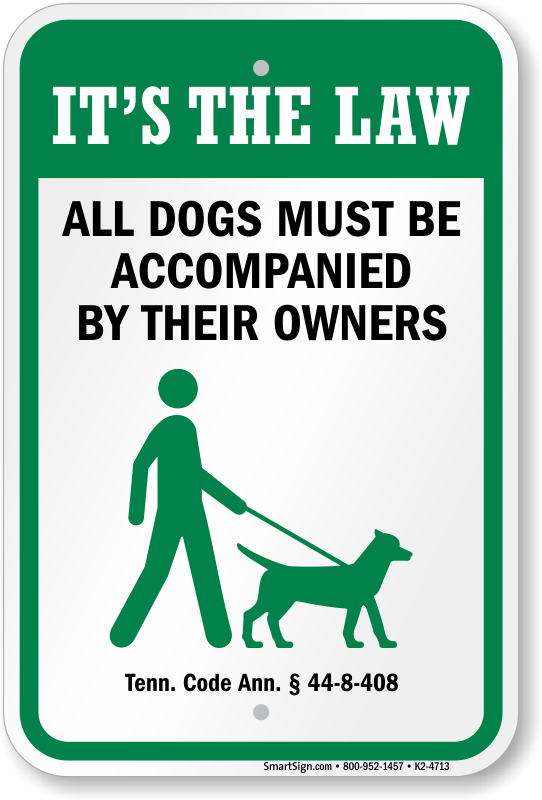 And most dog owners are unsure about specific dog control laws enforced by their state/local authorities. 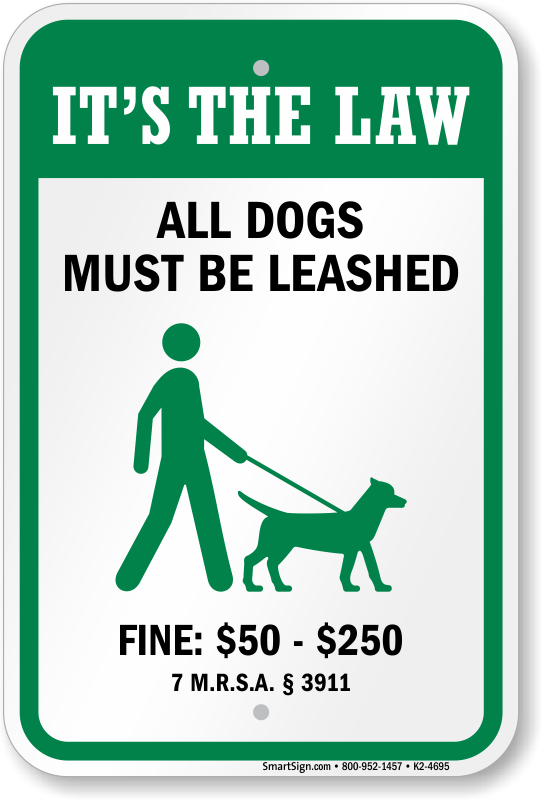 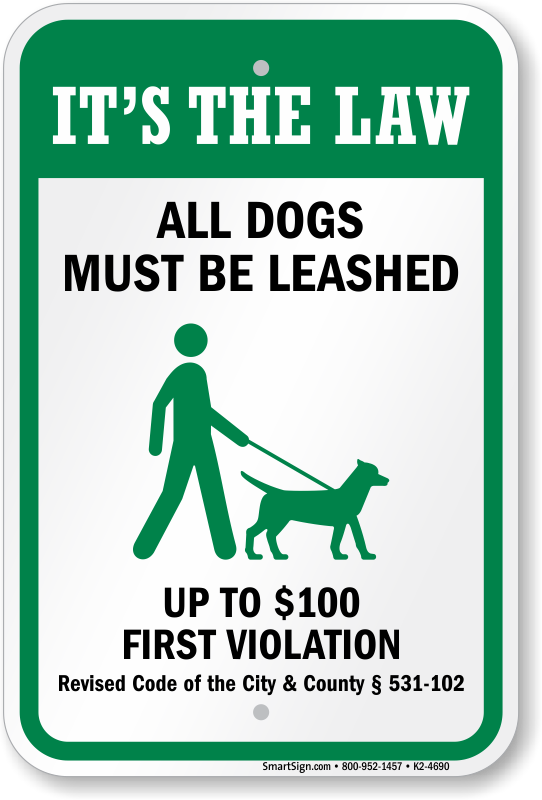 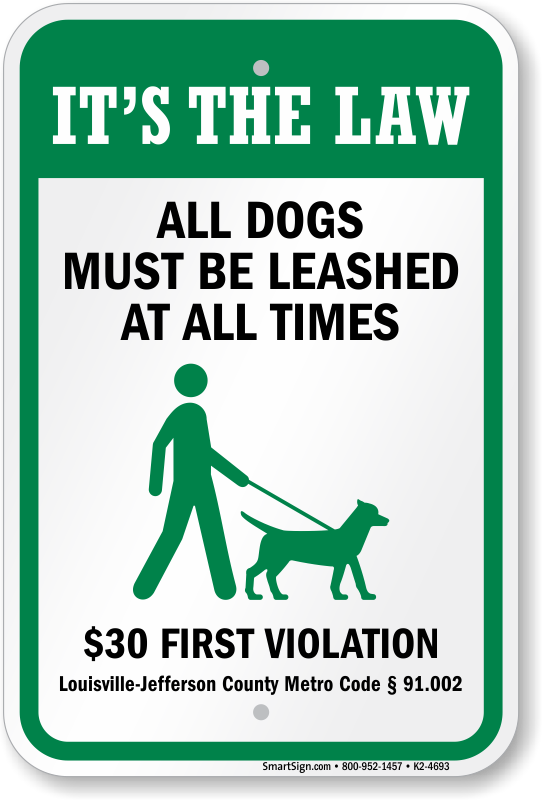 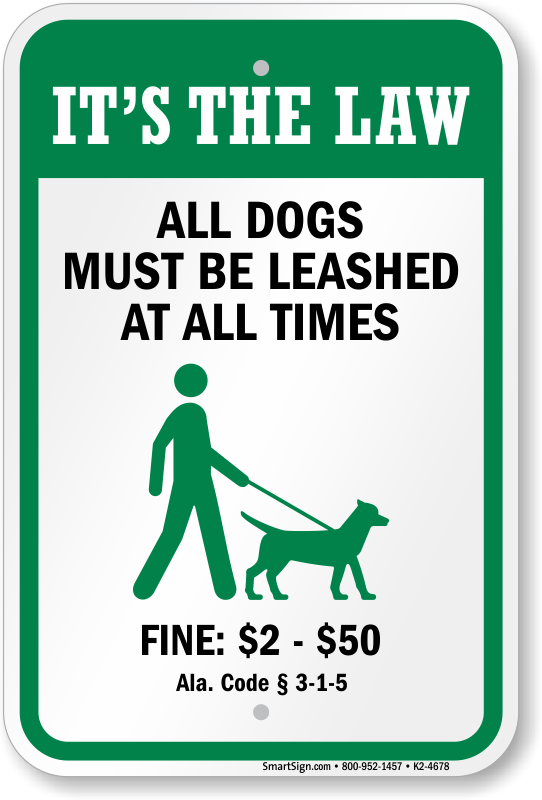 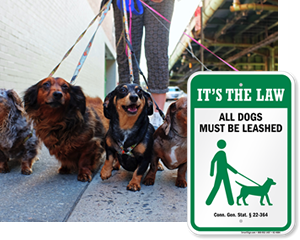 Look up your city or state’s name in our gallery of Dog Leash Signs by State and know what exactly the restraint requirements and fines are. • Signs are ideal for parks, playgrounds, schools, wildlife areas, beaches, and other public areas. 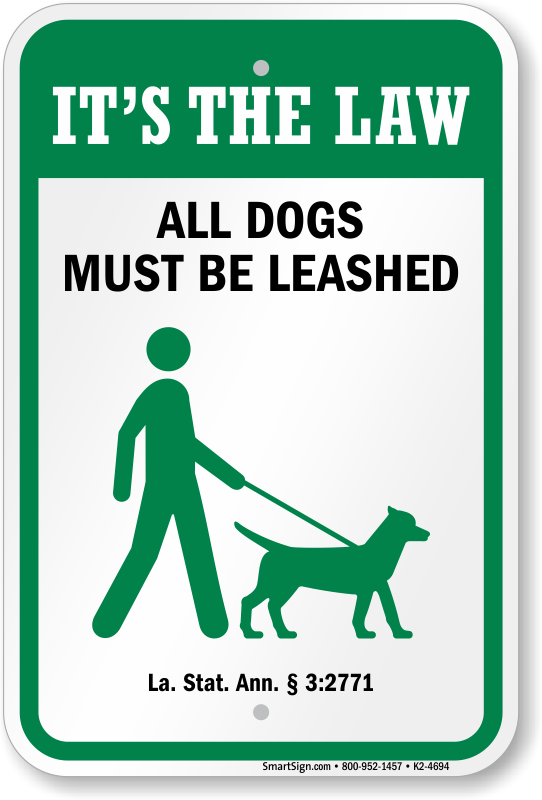 • Signs help pet owners know that leashing requirement is not a personal request, it’s the LAW. 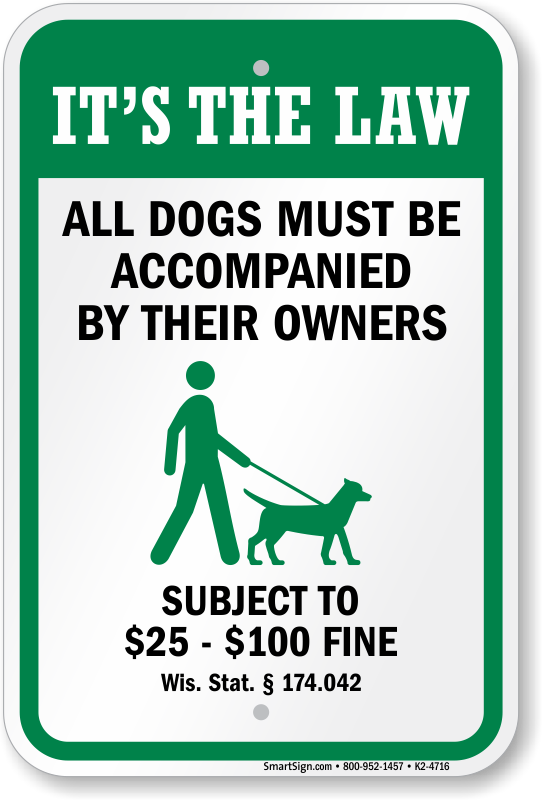 • Clear pictogram on each of our signs, makes comprehension easier, breaking all linguistic barriers.